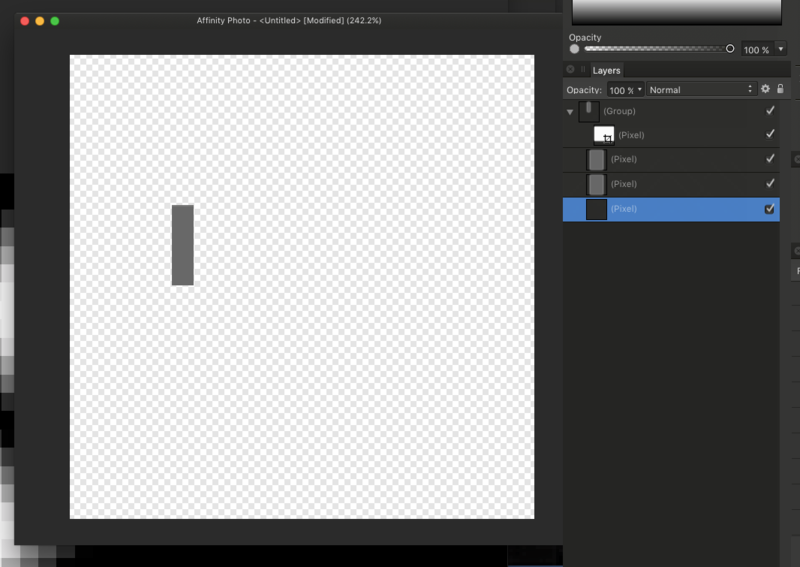 Merging (down or selected) pixel layers within a single group that has a (vector or pixel) mask deletes processed layers and makes a new empty layer. Currently only possible quick fix for me is to group layers and Rasterize. That produces same result as Merge layers command should. No issues outside masked group or inside group that has no mask. Not sure if by design but Merge visible produces new layer merged layer, without actually deleting any layers that were processed. Would you be able to attach a screenshot or file as an example of your Layers Panel layout please? I'm a bit confused as to what is getting removed. The when doing a Merge Visible it is by design that your original layers are not removed. Here's how its layed out. Started new doc, created pixel layers and duplicated them. 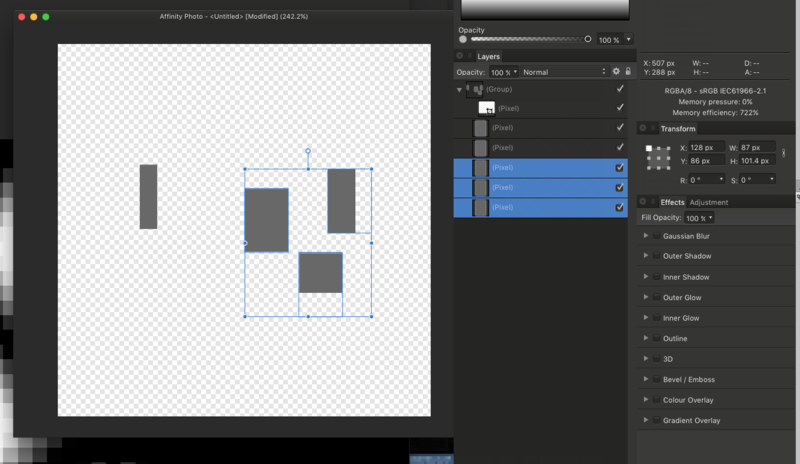 Created pixel box for mask, drag-dropped on to group to make it a mask. Thanks for that! I had used the 'Mask' button to create a Mask Layer on the Layers Panel when testing it and it appears that doesn't cause the behaviour you are seeing. I have been able to reproduce it when that group has a cropping layer applied (indicated by the Crop Icon on the Layers Panel). I'll get this passed onto development. I have been able to reproduce it when that group has a cropping layer applied. This also occurs if a group without a mask but hidden (uncheck Is visible). Thanks for the heads-up. I will add this info to the report.